Neo Vox busts out this cute little tank. Quite a change from the other tank that I blogged a few days ago. Incorporating the pod design by Duane Hess, this tank looks ready to roll in more ways than one. 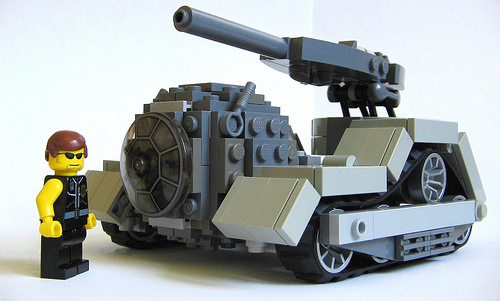 I also really like the brick-thick fenders and the streamlined cannon.